Michelle F. Rider, CPA, Esq. 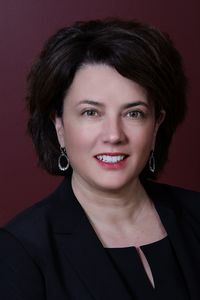 (Michelle) joined Catania, Mahon, Milligram & Rider, PLLC ("TCLMM") as a partner in January 2009. Prior to entering the legal field, Michelle was employed as a certified public accountant, including two years with Coopers & Lybrand where she audited a variety of mid-sized and large companies and not-for-profit organizations. After graduating with honors from Albany Law School, Michelle's first position was with Couch White in Albany where she practiced in the areas of corporate law, commercial transactions and trusts & estates law. Thereafter, Michelle worked as an in-house attorney, initially for The WellCare Management Group in Kingston, New York, and later for GrafTech International, a publicly-held, multi-national manufacturing company. In 2003, Michelle returned to the Hudson Valley and reentered private practice. Since that time, she has concentrated her practice in the areas of corporate law, commercial transactions, trusts & estates and succession planning. A number of her clients are in the health-services delivery industry, including physician practice groups in the Hudson Valley in the fields of radiology, pediatrics, nephrology and orthopedic surgery. Michelle has worked on a number of multi-party joint venture transactions and has substantial experience with the hiring, promoting and exit of partners from groups. Among Michelle's legal and advisory skills are the negotiation and drafting of complex commercial and financing documents, mergers and acquisitions, transaction structuring, due diligence and corporate governance. As a result of her public accounting and in-house experiences, she brings a financial and business perspective to her legal representation to provide a comprehensive advisory approach to her client's transactions and issues. She also frequently provides estate and succession planning services for the principals/owners of her corporate clients.